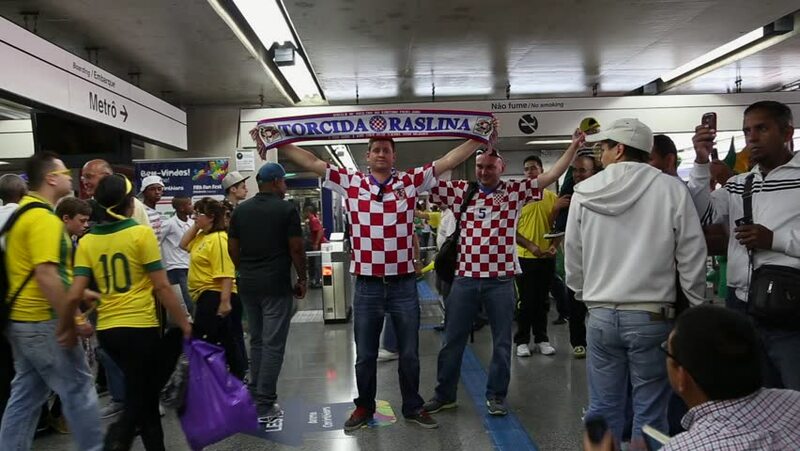 hd00:10SAO PAULO, BRAZIL - JUNE 12, 2014: Fans go to Arena Sao Paulo for the first game of the the Brazilian World Cup 2014 (Brazil x Croatia). hd00:09PHUKET, THAILAND - OCT 12, 2018: Chinese thai monk possessed by his god walking with his mouth pierced in Vegetarian Festival at Phuket Town on October 12, 2018 in Phuket, Thailand. 4k00:25QUEBEC, CANADA - SEPTEMBER 2017: Smooth & steady shot through farmer's market in a small town. People shopping for various goods! 4k00:30SHENZHEN, CHINA - CIRCA NOVEMBER 2018 : 3D HOLOGRAM ADVERTISING DISPLAY LED FAN sold at ELECTRONIC STORE in HUAQIANGBEI area.